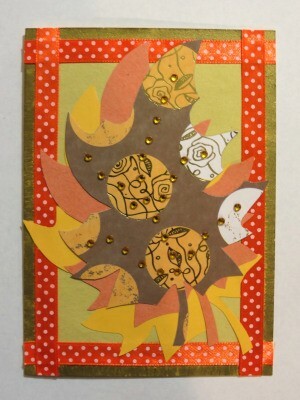 An autumn themed birthday card is sure to be appreciated by anyone with a fall birthday. 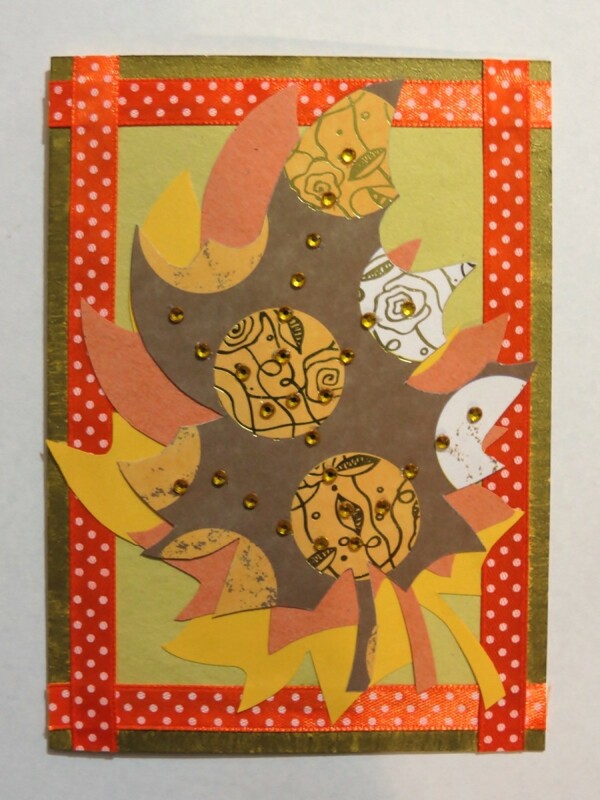 Make this 3-leaf fall birthday card for someone special in your life. 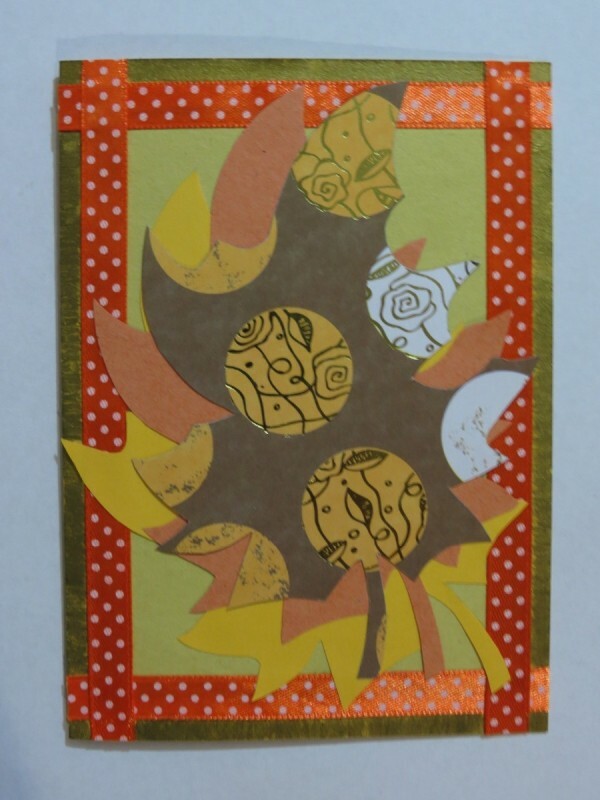 Cut three leaves from different fall-colored papers and create a card with fall sentiments for a friend's birthday. 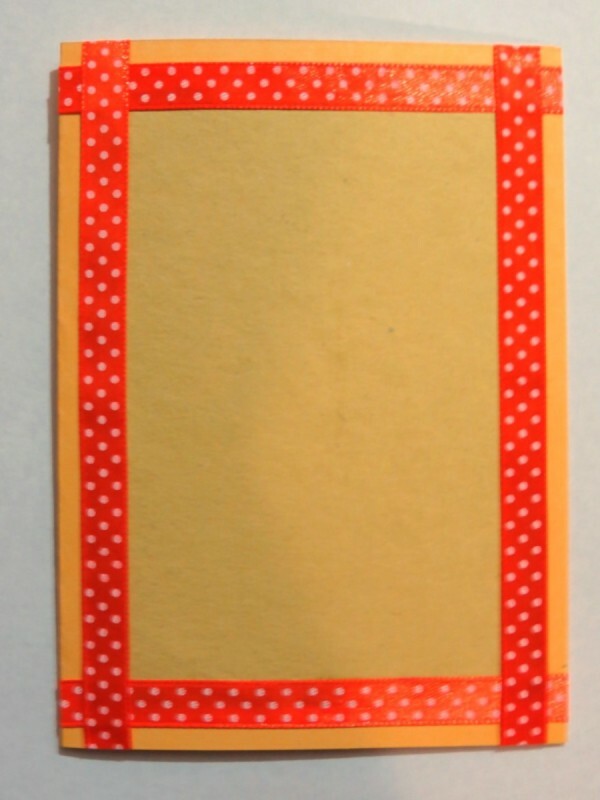 Score the 8.2" x 5.6" yellow cardstock length-wise to create a card sized 5.6" x 4.1". 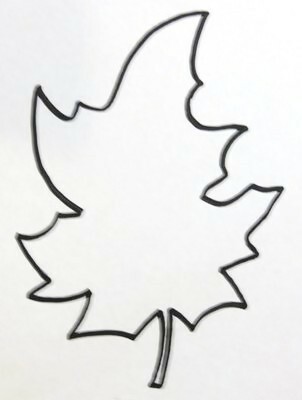 With the fold at the left, centre and glue the 5.2" x 3.5" light yellow sugar paper to the front of the card. Use the ribbon to make a frame around the card. Trace and cut three leaves - one from the dark yellow sugar paper, one from the orange sugar paper, and one from the fall scrapbook paper. 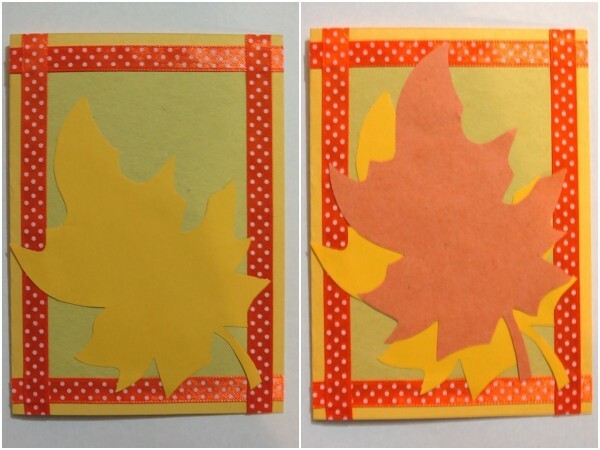 Glue the three leaves in place - first the yellow leaf, then the orange leaf and lastly the leave cut from the fall scrapbook paper. Use the gold paint to create a golden edge all around the card. Add the finishing touches by gluing the rhinestones in place to create veins for the leaf cut from the fall scrapbook paper.